I’m Heather Hill, also known in various places online as Tvini and Emisanboo. 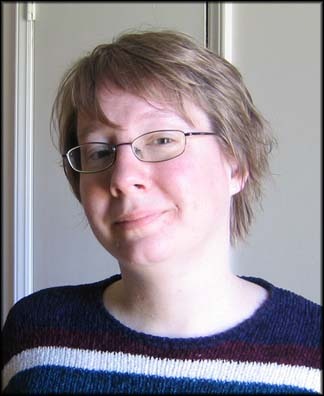 I’m a former TV producer, current stay at home mom, knitter of Jayne hats and GM at online RPG Dragonrealms. do you have color reccomendations for a traditional-color Jayne hat in Ultra Alpaca? My computer doesn’t show color well. I’ve done an Ultra Alpaca Jayne hat with the yarn held doubled on size 9’s and it looked great. The orange was color 6226, the yellow was 6253… but unfortunately I don’t have a label for the earflap red that I have remaining. At least it’s a starting point! You can see the Ultra Alpaca Jayne hat in those colors on flickr at this link.